Avocate au Barreau de Paris, Lorraine Papart is a Consultant to CastaldiPartners, while also working on an individual basis in her own practice. She is specialized in litigation, criminal law and journalism law. She has assisted clients in criminal and civil proceedings in numerous high-profile national trials that received significant international coverage. 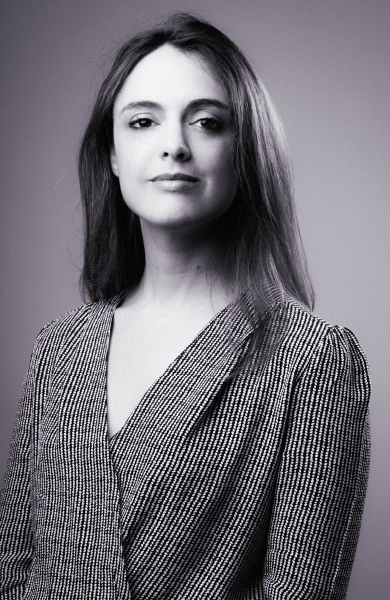 Before setting up her own practice and starting her collaboration with CastaldiPartners, Lorraine Papart worked for one of the most successful lawyers in Paris, Maître Jean-Marc Fedida, as well as for several special counsel law firms (Cabinets aux Conseils), Waquet Farge Hazan and Baraduc Duhamel. She assists companies, company directors and also public figures, in particular politicians. Benefiting from a dual legal culture and French/Italian bilingualism, Lorraine works daily for Italian-speaking clients. She assists her clients in all areas of litigation with a special focus on criminal and journalism law, areas in which she also acts as counsel, prior to the commencement of litigation. Advised publication directors and public figures in defamation and invasion of privacy cases. Advised a civil party during the Clearstream trial. Advised a defendant in the case of the Taiwanese frigates. Advised several defendants in the case of tax evaders - HSBC list - known as the Falciani case. Advised an accused in an international VAT carousel fraud case. Defended executives in cases of complaints for sexual or moral harassment. Participation in an advocacy competition at the University of Law in Oxford as a coach. Lorraine has been lecturer at the École de la Sorbonne since 2010. She has taught and teaches the following subjects: Special contracts, General contract law (before and after the recent French reform), Civil liability, and Criminal procedure (at present). Ecole de droit de la Sorbonne, 2008. Ecole de droit de la Sorbonne, 2007. Ecole de droit de la Sorbonne, 2006. Università degli Studi di Firenze, 2006.